The last few weeks have been comprised of Inventor drawings, comprised of even more drawings for me. 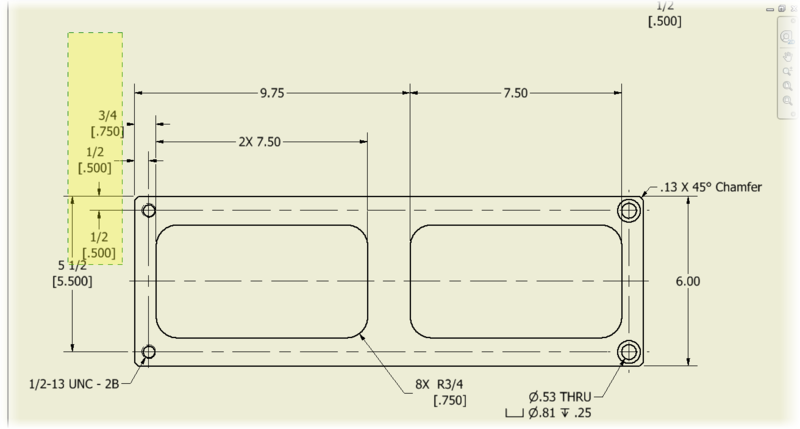 Part of that process included a lot of changing of decimal precision. 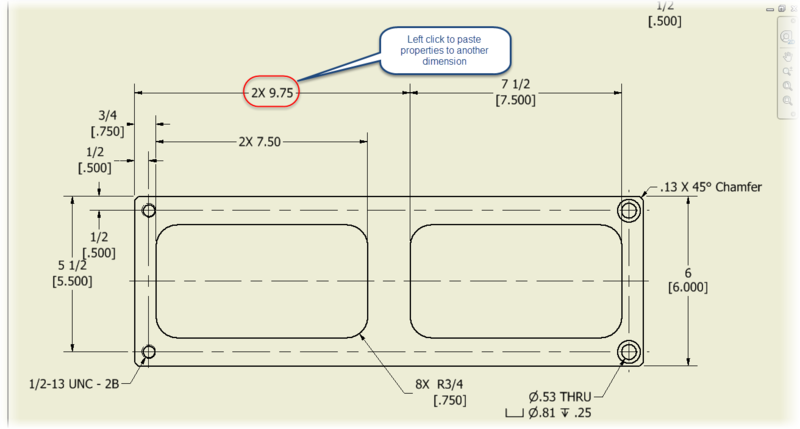 A common practice to change precision is to select the desired dimension and choose the dimension style from the format portion of the annotation tab. 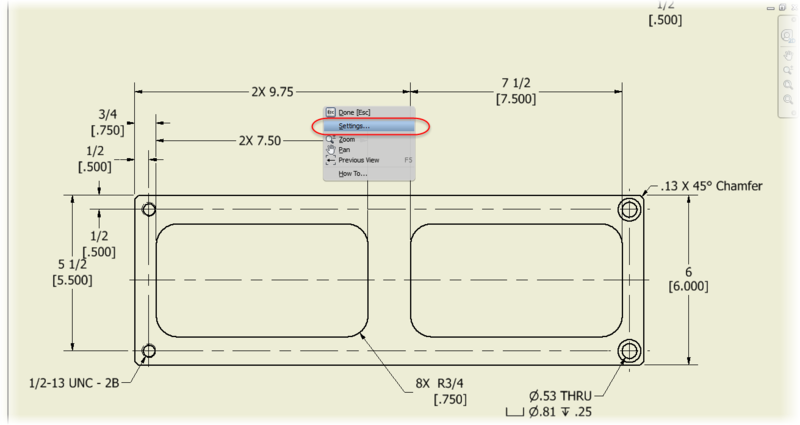 Changing dimension style from the annotation tab. This process works great, but if there's a lot of dimensions, it can get old fast. Fortunately, there is an alternative to "sucking it up and dealing with it". The tool is Copy Properties, and it does what it claims, it copies the properties of one dimension, and pastes them to as many other dimensions as you need. To use this tool, start by right clicking on the dimension that has the formatting you want, and choose the Copy Properties tool. Using the properties of a source dimension. 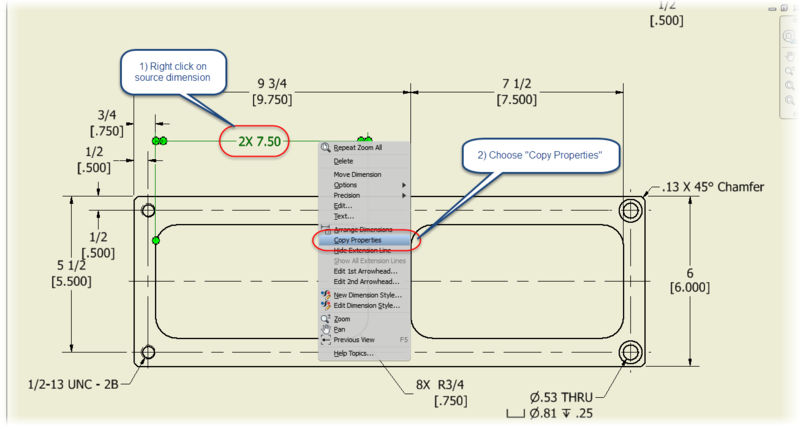 Pasting properties from one dimension, to another. 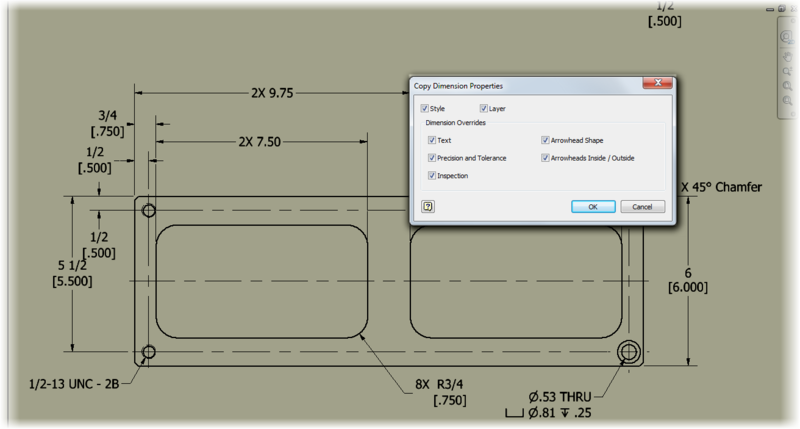 So before you select the target dimension, right click and choose Settings while Copy Properties is active. Locating settings by right clicking while the tool is active. This gives you an opportunity to choose what properties you want to copy from the source dimension. Once you have the settings where you want them, choose the dimensions you want to transfer the settings to by clicking on them, and those properties are transferred! You can pick individual dimensions, or even pick using a window! Once you're done, just right click and choose Done, or hit escape to exit the tool. And check out the KETIV YouTube video below to see it in action! Oh this is Gold! I had no idea. It's rare to a tip like this I don't know about these days. Cheers Jon! Does it work with the selection filters? Glad it helps, Scott. I've not tried it with selection filters. I should clarify it ohly works for dimensions (it's not quite MATCHPROP in ACAD). 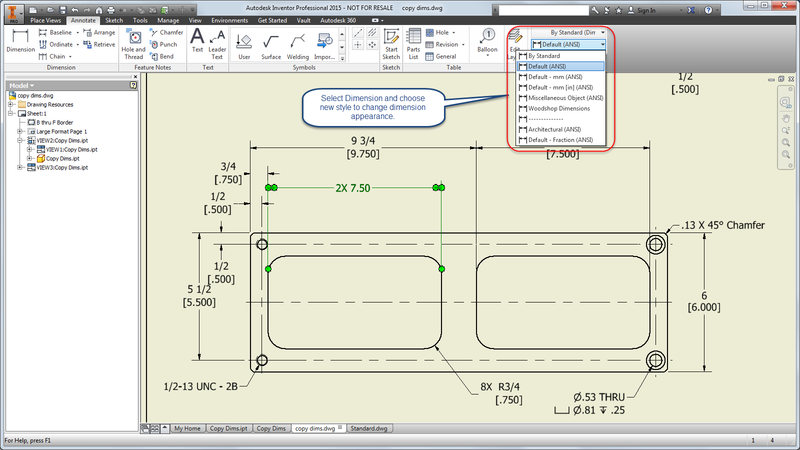 Autodesk Inventor 2016 What's New! KETIV Introduces the Autodesk Vault "DIY Kit"